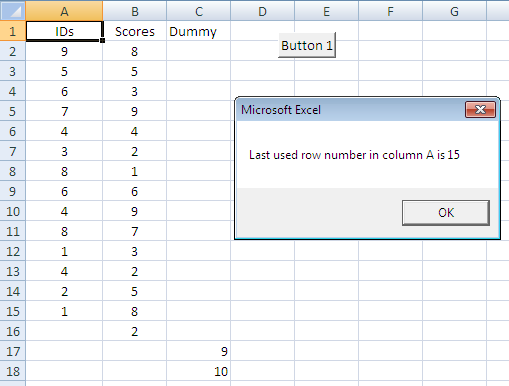 This tutorial provides you VBA codes to find the last used row and last used column in a worksheet. The following macro returns the last used row number in worksheet "Sheet1". It includes rows with data or a formula displaying data. It ignores cells containing formulas displaying the empty string i.e. ="". 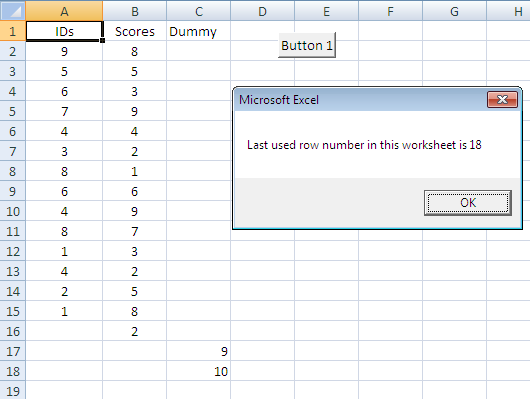 The following macro returns the last used row number in worksheet "Sheet1". It includes rows with data or a formula displaying empty and non-empty string values. 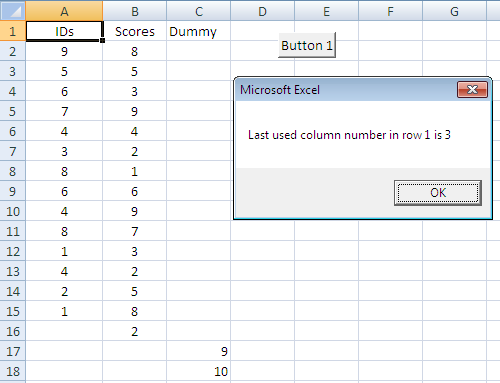 The following macro returns the last used column number in worksheet "Sheet1". It includes columns with data or a formula displaying data. It ignores cells containing formulas displaying the empty string i.e. ="". 2 Responses to "Excel VBA : Find Last Used Row and Last Used Column"
Nice. That was a great help.